IT'S PRETTY MUCH THE MOST FUN EVER. Want to be notified and reminded about new class offerings, belly dance parties, shimmy-athons, unbelievable shows AND get the best rates on classes? Join the newsletter list now! Come and learn to belly dance this summer! Two sets of six week classes on Wednesday Nights: an hour long Belly Dance Beginner's class, and an hour and a half long mental AF Level 2 class. Starts Wednesday 18th April! Technique, conditioning, dancing, and some mighty fine mini choreographies to learn, even if I do say so myself. Working out is boring. Dancing is fun! 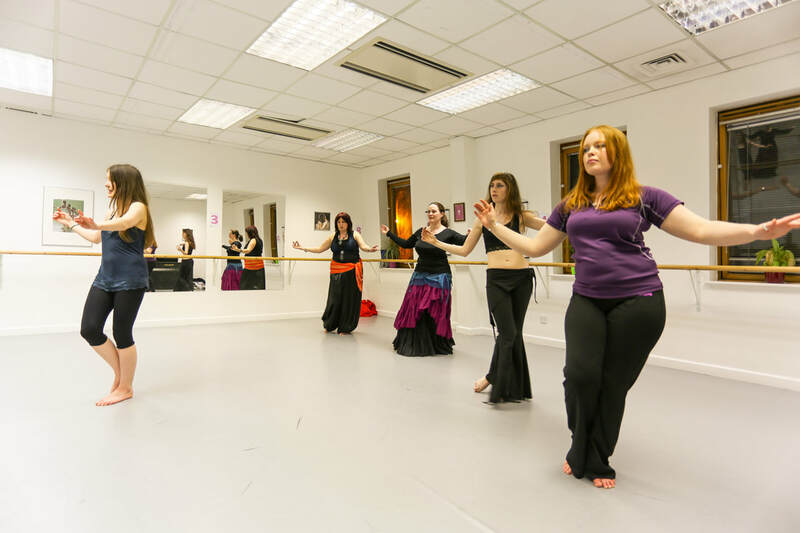 High energy, sweaty and fun to the max: come and learn beautiful belly dance with experienced teacher Demelza Fox, who teaches Tribal Fusion Belly Dance, Oriental, American Cabaret Belly Dance and American Tribal Style. It's a belly dance class with a difference: a emphasis on technique, fun and non-stop movement. "The world's (or at least Cambridge's) best belly dancing teacher! I honestly think everyone should try it. Once you see how fun it is you WILL become addicted!" Want to be notified when the next classes start, or keep tabs on great dance workshops and events? "Demi's classes are amazing! We have so much fun and I learn so much. She is a fantastic teacher - full of energy and enthusiasm. She makes learning bellydance really fun, at the same time as teaching proper technique and amazing choreographies!"